We urge you to support us in adding more voices to our struggle against large-scale industrial oil palm plantations by Okomu Oil Palm PLC (a member of the global SOCFIN). After successful protest marches on the streets of Edo State where Okomu Oil Palm has operational base, anti-land grab campaigners led by the Environmental Rights Action/Friends of the Earth Nigeria (ERA/FoEN) are are writing to the Edo State Government to stop Okomu from further land grabbing for industrial agro commodities business in the name of development. We are contacting you to support our e-action to Governor Godwin Obaseki of Edo State asking him to enforce the revocation order of 13,750 hectares of illegally acquired land in Owan and Okomu Forest Reserves by Okomu Oil Palm Company Plc. Governor Godwin Obaseki cares about his image at the international level particularly as he brands himself as an investor-driven Governor at the detriment of local communities and livelihoods with differentiated impacts on women. Support our petition as we internationalize our struggles against deforestation and corporate land grabs for large-scale oil palm plantation business. Sign on to the petition below calling on the Edo State Governor to enforce its revocation order of 13,750 hectares of de-reserved land by ensuring that Okomu Oil Palm PLC vacates the area and stop oil palm plantation business in the area. Share the petition with others for sign on as we look forward to one million signatories. Please sign the petition calling on the Edo State Governor to enforce its revocation order. On November 5, 2015, the Edo State Government through government revocation Order under the leadership of former Governor Adams Oshiomhole revoked 13,750 hectares of land in Owan and Okomu Forest Reserves from Okomu Oil Palm Company Plc- a member of the global SOCFIN group which it illegally acquired. Two years after, the company has continued to defy this order to further its plantation business under the watch of the current Edo State Government. Yet, such initiatives in the name of development and job generation has continued to fuel more deforestation, land grabbing, biodiversity loss, and local livelihoods destruction of more than 60,000 rural farmers and forest dependent peoples rife with human rights violations in areas where this large scale industrial oil palm plantation company is operational. 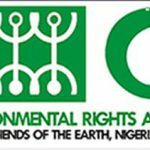 As a state currently with the second highest deforestation rate in Nigeria after Cross River State, with Okomu Oil Palm Company Plc becoming one of the major drivers of deforestation for oil palm cultivation in Nigeria, the Company has continued to disregard the revocation order by the Edo State Government under your watch to further its expansion work. Environmental Rights Action/Friends of the Earth Nigeria led Coalition of impacted communities, farmers and civil society organizations and the global environment movement is watching as you and your colleagues in Edo State Government move towards making a decision about the future of sustainable Community Based Forest Management system in Edo state. We urge you to enforce the revocation order on Okomu Oil Palm Company Plc in Edo State and commence regeneration of the areas destroyed. Plantations are not forests! Communities’ forest is not for sale. Host communities and NGOs over the years have known that industrial plantation companies bring far more harm than good, contribute to climate crisis through land use change, livelihood and local food systems truncation, soil contamination and pollution of water bodies which the people depend on for survival. Your Excellency, the time to act and make your voice count for the people is now.